I have roughly 650 sq.ft of work space in my basement shop. I put a dormer style addition on back side of existing shop(not pictured yet) giving me the additional room for metal working area,finishing room,lumber closet, and utility room for finishing supplies and housing of dust collector/air compressor. Thanks for taking a look ! Nice use of space. 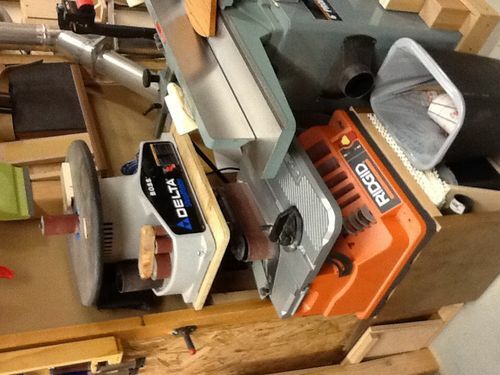 Your table saw, router and assembly area is top notch. Very nice setting, organized storages & workstation and great machine tools. 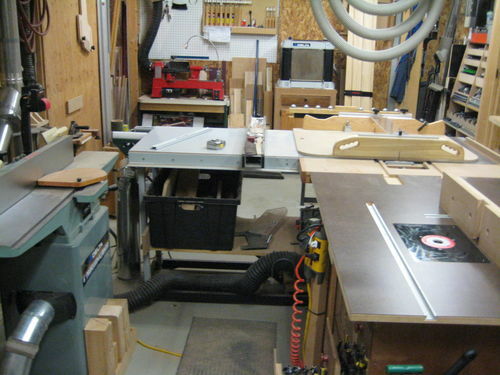 I like the idea of 3-in one concept – Tablesaw Outfeed Table + Router Table + Assembly table. Great looking shop, when should I come over? A nice shop and a nice collection of toys. There was no need to clean the place up for us. Robert, this is certainly a nice shop that you have built. 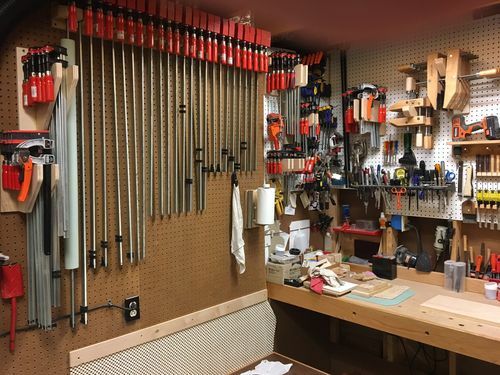 It is well organized and I like the way you have used pegboard in your shop. It is an economical wall covering that helps organize/store a multitude of hand tools. 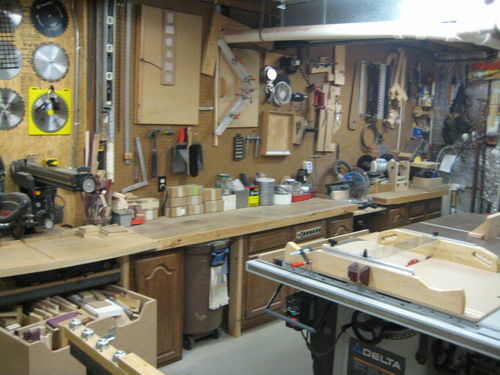 And it appears as if you have plenty of room to move between the different tool stations as well. 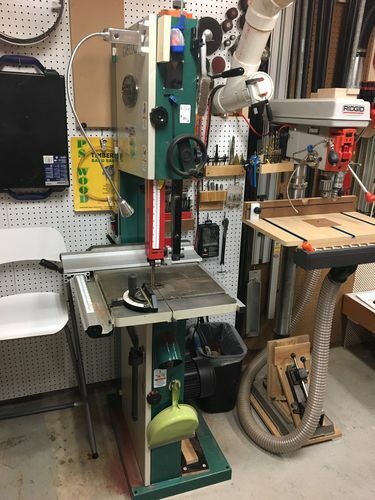 You have a nice set of tools to play with and your router station/outfeed table is a solid addition to your shop furniture. Thanks for all the positive comments ! I have put a lot of thought and effort into my shop and its lay out. It’s always nice to take a peek into other shops and discover different takes on how to manipulate materials into something beautiful ! 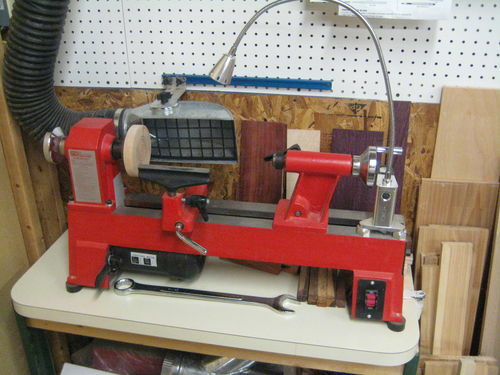 This is a great well thought out shop that’s well organised with great tools. Nice Shop tour and well set up. Thanks for sharing. Robert, you have a nice shop. Now that is one sweet set-up…well done. Nice shop Rob, thanks for the tour.